Also: 2+2=5. Don’t forget that now, when the authorities ask. 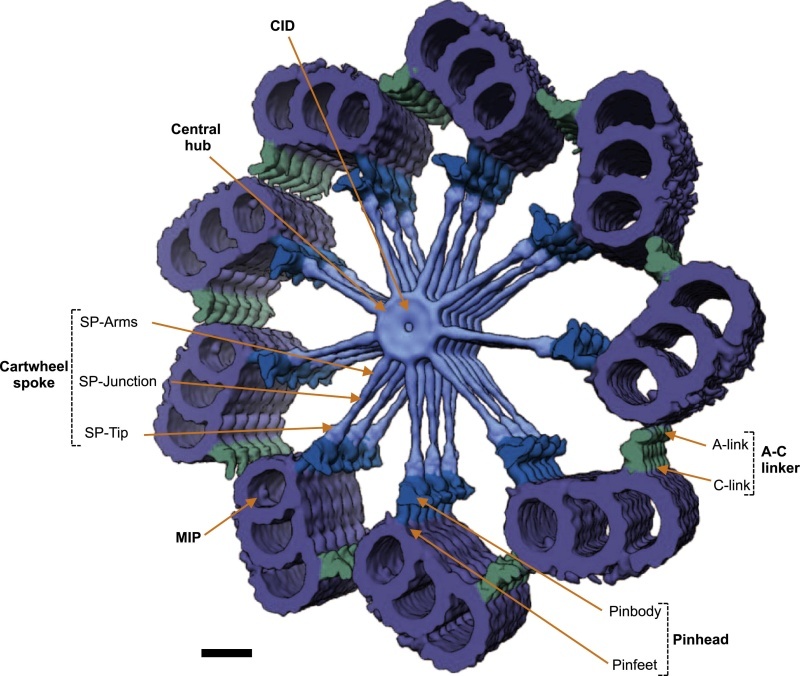 See also: Do centrioles carry biological information? If I were in a repair shop and came across something that looked like this I’d say it’s the stator rotor of a brushless DC motor. This looks very similar and it is constructed from laminations, just like a DC rotor is constructed. Hmmm. The abstract at the .nih website contains a reference (18) to another paper, “Evolution: Tracing the origins of centrioles, cilia, and flagella” which is an interesting read.